and voiceover artist, was born in Pretoria and attended Pretoria High School for Girls where she directed the winning house play in her matric year. She received a BA Drama from the University of Pretoria and was then chosen in her final year from among drama students countrywide to join the PACT Drama Company (Pretoria State Theatre) playing in productions such as “The Story of an African Farm”, “Ek wag op die Kaptein”, “Macbeth” and as a young actress, working with directors such as Dieter Reible, Alwyn Swart and Billy Egan. Later, as a freelancer, she worked with Anthony Wilson for PREPAC (Eersterust drama company) in “Of Mice and Men” and “Macbeth” and appeared as the Duchess Turomel in Stefan Bouwer’s TV production of “Arme Moordenaar”. She also sang the theme tune of the TV series, “Dot en Kie” and wrote and sang the lyrics for the popular TV series, “Sonkring” written and directed by Jan Scholtz..
She appeared in the musicals “Pirates of Penzance”, ’86 (Civic Jhb) and “Sunrise City” ’88 (Market Theatre) and staged her first one-man cabaret of her own original music with “Colours of Life” ’84, and in ’85 compiled a show called “Free Spirits” for PACT’s Windybrow Theatre Festival. Helena appeared in “The Victorian Songbook” (’89) countrywide, directed by Doug Thistlewhite. In 88 she was also invited by the SABC to record four of her original songs on a Transcription record. A highlight of 1989/90 was becoming the youngest member of Anton Goosen’s forward- looking alternative band, “Die Kommissie van Ondersoek” (also with Lucas Maree) which amalgamated Afrikaans and African lyrics for the album “Winde van Verandering” released in 1990. Highlights were performing at the Jacaranda Festival, Houtstok and touring the Cape. 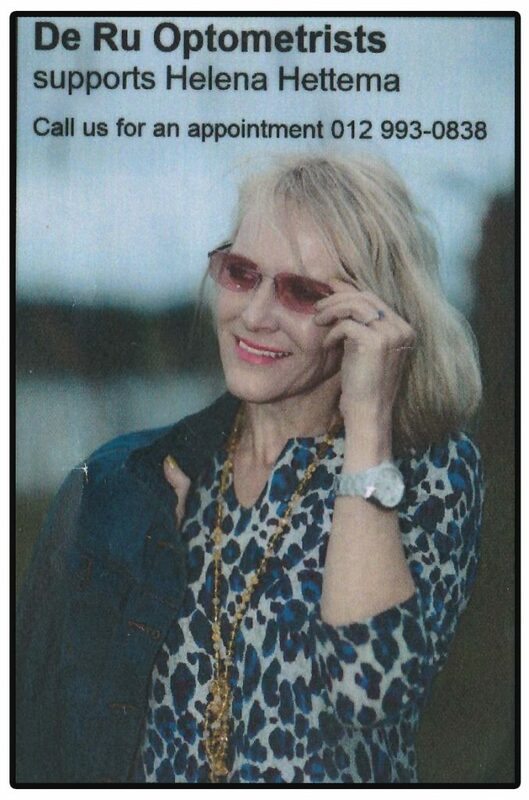 Helena also formed two bands: Triple Fair (‘87) with Lizanne Barnard of Marimba fame and Evan Schoombie and her original music band Golden Fleece (’91) with Hennie van Jaarsveld, Paul Greyling, Lindsay Liebenberg and Alwyn van Heerden (her pianist for 15 years now living in Miami, USA since 2014. From ’91 to ’93, they also performed at festivals countywide amongst others at the National Arts Festival, Grahamstown, the Whale of a Festival, Hermanus and in Harare, Zimbabwe for the SA Embassy. SABC 2 also recorded 2 videos for TV of Golden Fleece with two of her original songs covering issues of poverty, violence and hope in the song “Fools Gold” and conserving the planet in “A Touch of Green”. In ’95, her band, Golden Fleece featured on her first CD, “Fools Gold” received with critical acclaim by the press. It was distributed by JNS. As solo artist she appeared on two occasions with the Cape Town Symphony Orchestra 93/94 in Symphonic Pops singing the music of Piaf and Brel under the batons of Gerard Korsten and Alan Stephenson respectively. Another highlight was playing the role of Alma Mahler opposite Jonathan Rands (Mahler) and Jana Cilliers (The Muse) in the Mario Schiess production of “Die Kindertotenlieder” (Roodepoort Civic) in ’92. At this time she also released her first cassette of the show, “Piaf, Brel and Just a Little Me” which she performed to critical acclaim at Café Indigo in Yeoville, Johannesburg for six weeks. In ’96 Helena was invited to sing at the Il Frigo festival in Bologna, Italy and in ’97 she spent six months in London singing on invitation at South Africa House on Trafalgar Square and for World Aids Day in London as well having a run at the popular Canal Theatre Café, among others. From ’97 to 2006, she released six CDs: her 2nd “Jasmine Lament”, “Highlights” (nominated for a South African music award (SAMA), “Dreaming”, (nominated in “Beeld” under four best CDs of the year),“The Bridge”, which was launched at The Grahamstown Arts festival and also was performed at the KKNK IN 2001 , “Divided Heart” and “Diva’s Divine- Inside Out” a live show CD that made its debut at The Grahamstown National Arts festival. In 2007, she released a double French album –“Spirit of Piaf and other French legends” to critical acclaim (Sony BMG) – also featuring the Soweto String Quartet. In the same year she received a Laureate Award from her alma mater, University of Pretoria for excellence in her field. In 2009 Helena was the opening act for Skouspel at the Sun City Superbowl for Senwes in duet with Tiaan van Ses Snare and a DVD of the song in English, Afrikaans, French and Dutch. In 2010 she released a DVD and bonus CD of a live performance at the Centurion Theatre called “Helena Hettema Alive” which was nominated for a SAMA (South Africa Music Award). Other nominations and awards include: Checkers Woman of the Year (2006), 2nd Best Album of the Year (Vonk –2006) and the prestigious Geraas SABC2 Award in the Best Female Vocalist category (2005) for her CD “Divided Heart”(2004). Helena also was nominated by KykNet viewers in 2006 as one of the country’s top ten divas in the Huisgenoot Tempo Awards, and nominated for four FNB Vita Awards for Best Performance in a musical review production, Best Costume Design for the show “The Bridge”( 2002 released as a CD) and for “The Legends and a Touch of Me” . In 2012, Helena released her popular CD “Rooiwynliefde” featuring her own music and that of other South African artists such as Karen Zoid, Eugene Vermaak and Philip Nel. It also features musical arrangements of the poetry of famous Afrikaans poets such as Eugene Marais, Toon van den Heever and I D du Plessis. In 2014 she released “Woordengel” featuring the words of Azette Wiesner and music of Lieze Stassen and launched at the Atterbury Theatre. She sings the French version of “Viva Madiba” on the CD “In Homage to the Mandela Legacy” (released in 2013) featuring Anton Goosen’s original Afrikaans version and several other prominent artists for the other nine South African languages among others: Dozi (isiZulu); Manuel Escorcio (Portuguese); Rebecca Malope (isiXhosa); and “Mammie” Ntshauba (Setswana). English and Afrikaans and performs the music of continental greats and is particularly renowned for her French renditions of Piaf and Brel, as well as singing alternative, contemporary, folk, jazz and her own music which deals with universal themes such as the environment, social commentary as well as death, love and loss. Helena has performed in Holland, (2002/2013) Belgium, (2001) England (’97, ’98, 2001, 2011), Turkey (2010), New Zealand (2005) and Italy (’96) and in 2013 on invitation, and she performed at the “Festival voor het Afrikaans” in Den Haag, The Netherlands. In 2015 on invitation from the SA Embassy, she performed in Antananarivo, Madagascar to celebrate 20 years of democracy. In April 2015, Helena appeared as a guest artist in “die klub” in the popular TV soapy, “7de Laan” and also did a 100-year tribute to Piaf in the Atterbury Theatre. Early in 2016 Helena performed in Harare, Zimbabwe and began working on her latest CD “21 plus (2017) celebrating 22 years since her first CD “Fools’ Gold” was released and also 26 years in the music industry. 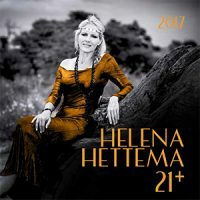 Helena Hettema 21 + was launched (with fellow musicians Marelize Koch,( pianist) and Con Grazia, amongst others at the Atterbury Theatre, Pretoria in September 2017. She subsequently was interviewed on radio and appeared on TV programmes such as Groot Ontbyt, Ontbytsake and Onder die Kersboom. Her latest video Skadudans, produced by Vonk Music was also featured on KykNet. Highlights of 2018 were among others, the Aardklop Festival in Potchefstroom with her show Helena Hettema 21 +, featuring artists such as pianist Marelize Koch and Con Grazia. She also appeared at Kersfees Skouspel at the Sun Arena, Pretoria with other artists such as Anna Davel, Amanda Strydom, Helene Bester and Jannie Moolman and Belgian Dana Winner as guest artist, before an audience of 8 500. The Sonkring TV series for which Helena wrote the lyrics and sang, as well as In the name of Love ( a Zulu/English series in which Helena had a bit part) – both from the ‘90s – were featured on the SABC Timeless/Encore series (2018/2019). Helena’s videos may be viewed on Helena Hettema’s Official YouTube Channel. 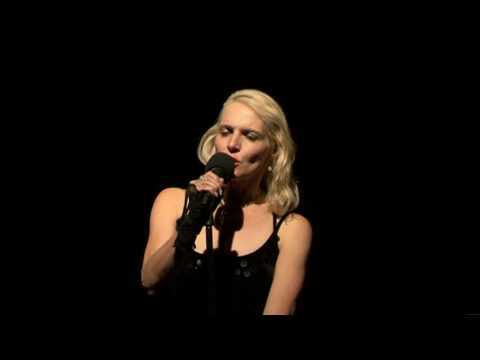 “Helena Hettema is one of South Africa’s most accomplished cabaret artist. ..album can be commended for its superb quality of fine musicianship. Her Piaf playfully included an SA feel as the Soweto String Quartet add a delightful Kwela twist…” Classic Feel, Oct 2007. Helena Hettema, kabaret-en stemkunstenaar en liedjieskrywer wat matrikuleer met onderskeidings in Engels en Afrikaans by Pretoria High School for Girls, het ‘n BA-Drama-graad op Tukkies verwerf. Sy word gekies uit drama studente landwyd om vir Truk (Transvaalse Raad vir Uitvoerende Kunste) ( 1984) te werk en op te tree in die Staatsteater in Pretoria, na haar BA Drama by die Universiteit van Pretoria. Sy vertolk die rol van Lyndall in “Story of an African Farm” en Lady Macbeth vir Pact Playwork wat vir Matric leerlinge aangebied is. Later speel sy vir EAPAC (Eersterust Performing Arts) en vertolk die rol van Gertrude in Hamlet en “Of Mice and Men” albei onder die regie van Anthony Wilson. By Truk werk sy onder die regie van bekendes soos Alwyn Swart, Billy Egan en Dieter Reible en saam met beroemde spelers soos Cobus Rossouw, Elize Cawood en Eric Nobbs. Later as vryskutkunstenaar werk sy met Kate Normington en Clive Scott in “Pirates of Penzance” (Johannesburg Civic Theatre) (1986) en speel in “Sunrise City” in die Market Theatre, Jhb) met choreografie deur Robyn Orlin, wat nou in Londen werk (1988). As jong speler (1986) vars uit Truk speel sy saam met Brumhilde van Rensburg, Elize Cawood en Greta Fox in “Arme Moordenaar” onder regie van Stefan Bouwer. Helena het ook cameo-rolle vertok in “Agter elke Man” met Steve Hofmeyr en in die Engels/Zulu reeks “In the Name of Love”. In 1987 vorm sy die groep “Triple Fair” met Lizanne Barnard van Marimba-faam en Evan Schoombie. In 1992 -Sing sy die temalied van die TV-reeks, Sonkring en skryf ook die lirieke. Tree op saam met die Kaapstadse Simfonieorkes in 1992 en 1993 met die musiek van Brel en Piaf in Frans in die Symphonic Pops-reeks. Sy stig die groep “Golden Fleece” in 1993, saam met haar pianis Alwyn van Heerden, op baskitaar Lindsey Liebenberg en Hennie van Jaarsveld kitaar. Hulle is deel van haar eerste CD “ Fools Gold “, vrygestel deur JNS, en word uitgenooi na Harare, Zimbabwe deur die SA Ambasade en by feeste landwyd. Die CD het gunstige kritiek uitgelok in Beeld met vyf sterre. SABC 2 maak twee videos van Helena se oorspronklike liedjies:“Fools’ Gold” wat handel oor die armoede in die strate van Johannesburg en “Touch of Green” Helena se Sotho, Zoeloe, Afrikaans en Engels oor die verval van die ekosisteem. In 1996 tree sy op by die Il Frigo Fees in Bologna,Italie en in 1997 by kabaretlokale in Londen en by Suid-Afrika Huis, Trafalgarplein op uitnodiging van die SA Ambassade. In 1997 volg die 2de CD, “Jasmine Lament” met baie van haar eie liedjies en met log ontvang. Versprei deur JNS. In 1998, Helena Hettema Highlights word vrygestel – genomineer vir n SAMA Toekenning in die afdeling Beste Afrikaanse Kontemporere CD. Bevat 12 van Helena se eie liedjies wat handel oor sosiale kwessies soos armoede, die ekosisteem en “yuppies”, onder andere versprei deur Music for Africa. In Julie 2000 is “ Dreaming”, haar vierde CD vrygestel. Beeld nomineer die CD as die vierde beste van die jaar. Sy sing ‘n paar nommers saam met die Magaliesberg Kinderkoor onder leiding van haar gevierde pianis, Alwyn van Heerden. Versprei deur SMD – Select Music Distribution. Haar produksie, The Bridge debuteer by die Karoofees 2001– pianis Alwyn van Heerden, Op aanvraag vroeg in 2002 op CD beskikbaar, haar vyfde. Versprei deur SMD. Hierdie produksie word genomineer vir twee FNB-Vita Toekennings – “Best Performance in Musical Theatre Revue” en “Best Musical Revue Production” en in 2000 en 2001 ook genomineer vir twee Vita Toekennings vir haar produksie, “The Legends and a Touch of Me”. Helena en pianis, Alwyn van Heerden tree op in Londen, Holland en Belgie (2001) op uitnodiging van Ukkasie en die Zuid-Afrikaansche-Vlaamsche Instituut (2001). In 2004 word haar sesde CD “Divided Heart” vrygestel en deur kritici met lof ontvang. Sy ontvang die Geraas/SABC 2 Beste Vroulike Kunstenaar. “The Herald Showtime Award solo artist” van die “Herald” koerant in Port Elizabeth vir die optrede van “Divided Heart” in die PE Operahuis – ander genomineerdes was Rory Rootenberg, Daniel Pascal en Rocco de Villiers onder andere. Dit is ‘n eg Suid-Afrikaanse CD met vyf van Helena se eie liedjies en oorspronklike materiaal van vooraanstaande plaaslike sangers/liedjieskrywersl – (Mel Botes, Anton Goosen, Marelise Scheepers ) Beeld. “Hettema het werklik ‘n unieke stem…Dit is een van daai min Afrikaanse albums wat ‘local’ musiek vorentoe vat. Hierdie CD werklik ver bo die res …laat uitstyg …is die produksie en musikale versorging…ongelooflik …uniek…iets anders. Liedjies wat Hettema self geskryf het …die hardste praat.” **** (Wikus du Toit – Popmusiek –Rapport Tydskrif – 12 September 2004). Desember 2005 genooi deur Afspraak Afrikaans radiostasie om in Nieu-Seeland om as hoofkunstenaar by die “Potstokfees” op te tree in Napier, Hamilton en Christchurch. “Divas Divine – Inside Out is a classic vocal exhibition that can easily be voted the best performance of the Festival “– July 2005. 2008 –Stel haar gewilde dubbele Franse album vry – Spirit of Piaf and other great French Legends – Sony BMG. Met 25 musikante onder andere, Evert Snyman en die Soweto String Quartet. Van die stemwerk is opgeneem by die beroemde Amerikaanse Shaun Phillips se ateljee in Port Elizabeth. “Helena is one of SA’s most accomplished cabaret artists …album can be commended for its superb quality of finest musicianship. Her Piaf playfully included a SA feel as the Soweto String Quartet adds a delightful Kwela twist…” Classic Feel – Spirit of Piaf and other French Legends. “ Haar vertolkings van die musiek van Piaf en Brel is amper legendaries. Sy is een van die “glossy by-products of the cabaret circuit” – Rooi Rose. 2009 – Sing duet met Thean Kotze en open die Huisgenoot Skouspel by Sun City vir Senwes. 2012- CD –“Rooiwynliefde” – vrygestel by die Atterbury Theatre met pianis Andre Wessels, Mauritz Lotz, kitaar en David Jooste op “keyboards”. Bevat nege van Helena se eie liedjies asook liedjieskrywers soos Eugene Vermaak, Karen Zoid en Philip Nel en Bruno Andries in Engels, Afrikaans. Bevat ook toonsettings van die groot digters soos Eugene Marais, Toon van den Heever en I D du Plessis. Verprei deur SMD en later Helena Hettema Productions. 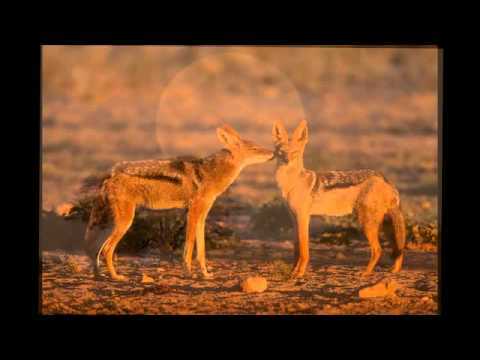 “Quasi Blu” (Engels/Italiaans) en “Sonkring Cercle Solaire”– Frans/Afrikaans word radiotreffers. 2013 – Word genooi na die Nederlands/Afrikaanse Fees (Het Nederlandse fees voor Afrikaans) in Den Haag – Emo Adams en Dawid Kramer ook gaste, onder andere. Helena verskyn op die CD “ Homage to Madiba” n CD in verskeie tale, met die liedjie “ Viva Madiba”, geskryf deur Anton Goosen en onder andere in Portugees gesing deur Manuel Escorsio, in Afrikaans deur Anton, Zulu deur Dozi, Sotho deur Rebecca Molope en in Frans deur Helena. 2015 – Verskyn op 7de Laan op uitnodiging – met “Rooiwynliefde” liedjie en “Non, je ne regrette rien” as gaskunstenaar in die “Klub”. Tree op in Madagascar op uitnodiging van SA Ambassade in Antananarivo. 2016 /2017– neem tans op – 3-album CD (haar 13de CD) ter viering van 21 jaar plus sedert eerste CD “Fools’ Gold” vrygestel is (1995) – nuwe materiaal sowel asook ouer material waarvan sommige liedjies nuwe verwerkings ontvang. Vrystelling in Sept 2017 in Atterbury Theatre en werk ook tans aan ‘n digbundel in Engels en Afrikaans (met kunsfoto’s). Daarna voer sy radio-onderhoude en verskyn op TV programme soos “ Groot Ontbyt” en “Ontbytsake” en “Onder die Kersboom”. Haar jongste video “Skadudans” is deur Vonk vervaardig en verskyn op KykNet. Hoogtepunte van 208 is onder andere, die Aardklopfees in Potchefstromm met die aanbieding van “Helena Hettema 21 +”, met kunstenaars soos pianis Marelize Koch en Con Grazia. Sy was ook deel van Kersfees Skouspel in die Sun Arena, Pretoria met onder andere kunstenaars soos Anna Davel, Amanda Strydom, Helene Bester en Jannie Moolman voor ‘n stampvol gehoor van 8 500. Die Sonkring TV-reeks se temalied , waarvoor Helena die lirieke geskryf het en gesing het, sowel as die Zoeloe/Engelse reeks, “In the Name of Love”(waarin Helena verskyn het) – albei van die ‘90s – word albeir op die SABC Timeless/Encore reeks aangebied (2018/2019). Sy het in die volgende lande opgetree: Zimbabwe, Botswana, Londen, Belgié, Nederland, Italié, Nieu-Seëland, Madagascar en Turkye. Sy sing in Afrikaans, Engels, Nederlands, Vlaams, Frans en Italiaans.